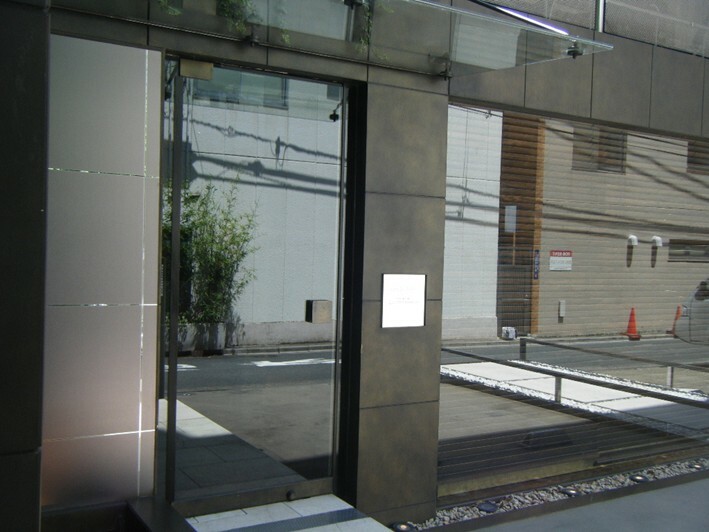 Quintessence is relatively easy to find by Tokyo standards; there is even a sign in Romaji lettering outside. The low-ceilinged dining room is extremely smart, with a slate tiled floor, a banquette along one wall with six tables, and one additional table opposite. There is also a small private room. Above the banquette the wall is tiled with what seemed to be brown leather square tiles, and this is cleverly under-lit. The ceiling itself is of dark wood. A crisp linen tablecloth on each table completes the scene. Mineral water was not a simple still or sparkling decision; a range of bottles is brought to the table, from Norwegian Voss, a couple of Italian waters and even an English one, through to Evian. The wine list covered 20 pages of close-set type, all French as far as I could see. Etienne Sauzet Batard Montrachet 2004 was JPY 42,000, Josmeyer Gewürztraminer 2004 a more modest JPY 15,000. Kreydenweiss Pinot Gris 2002 was JPY 11,000. For those traders who have just closed a bid deal, there was 1983 Latour at JPY 58,000. As so often in Japan, there is no a la carte, just a no-choice menu. The chef here will be familiar with that idea, since he used to work at l’Astrance in Paris. The bread was of good quality, properly seasoned with pleasing texture: slices initially of sourdough, then a white (18/20 bread). We began with a goat milk bavarois with sea salt, with a little sauce of olive oil from Provence and shaved macadamia nuts. This was a well balanced dish with a clean taste (18/20). 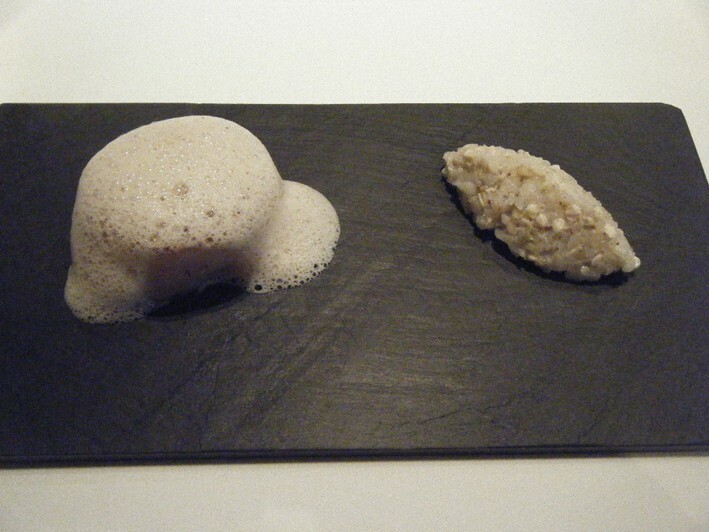 Next was sea scallop with a buckwheat crust, served with buckwheat risotto seasoned with Gironde salt. The scallop itself was excellent, and the crust was a good, earthy contrast to the sweetness of the scallop (18/20). Akou (scorpion fish) was cooked in a very hot 320C oven, giving a crisp skin, served with aubergine sauce and salted capers (17/20). I had a slab of pork from Kyushu, a bizarrely large cut on the bone. This was served with “inka” potato, which was sweet favoured but rather dried out, a crumbly lentil galette and a better choucroute. The portion size was very odd, as there must have been a pound of pork filling the large dinner plate. It was rather like one of those “if you can finish this you won’t pay” bets in some down-market US steak houses. I noticed that the other Japanese guests all received portions about a quarter of this in size, and most had trouble finishing. The pork itself was merely pleasant (15/20). Better was isaki fish with a Japanese vegetable, leek, a topping of excellent non-rubbery squid and a foam of leek; this squid was great but the fish was a little dried out (17/20). Coconut cream with pistachio oil and espresso was combined as a jelly, but the coffee flavour completely crushed the other components of the dish (15/20). 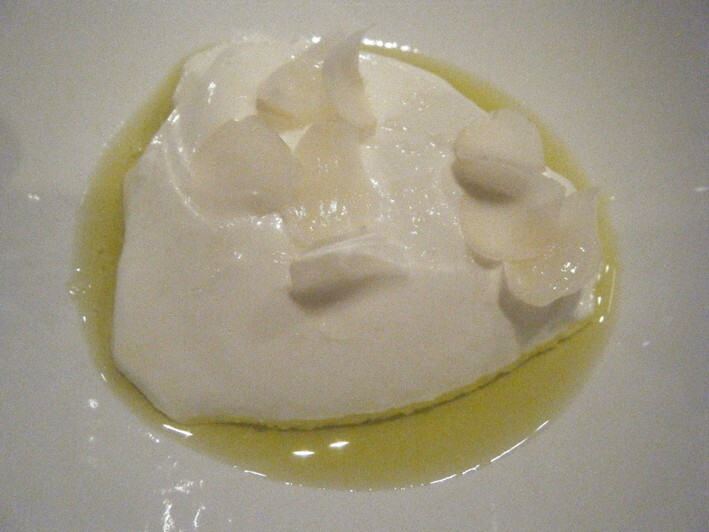 Much better was a meringue ice cream with concentrated seawater sauce, the ice cream itself being excellent (18/20). Coffee was of oddly poor quality, tasting bitter and cheap. The bill for two for lunch was JPY 34,190. Service was very attentive. Overall this was a good meal, for me hovering between one and two stars if it had been in Europe. 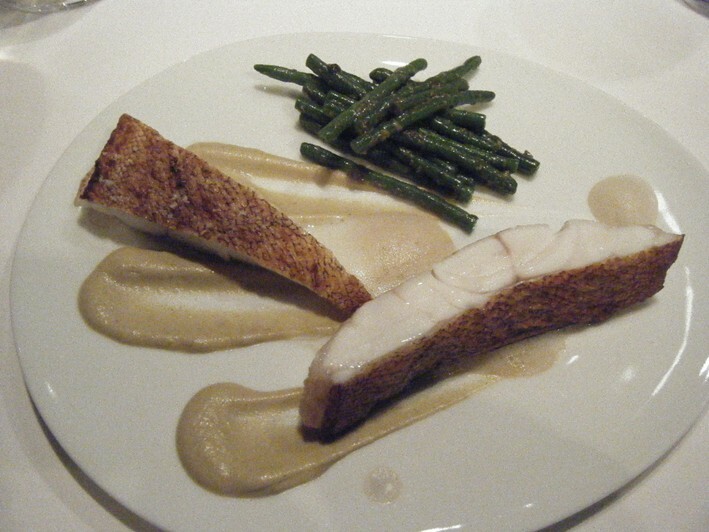 Based on this, the 2008 Michelin 3 stars seems to me very kind. I was hoping for something approaching the standards of Astrance in Paris, but perhaps that was too much to hope for. We had dinner a couple days ago as a party of 4. A very pleasant evening, but not a 3 star experience. There was a small bug on the table, waiter killed it and left tablecloth with a stain. Food was very good except for a couscous which seemed not to fit to the rest. Some minor mistakes by the waiters. The menu is changing often, depending on the season and best fresh food available to get. did you go during afternoon?? saw on japanese tv that one of the chef's main dish is the boudin noir.. maybe the menu is abit different in the day and at night.